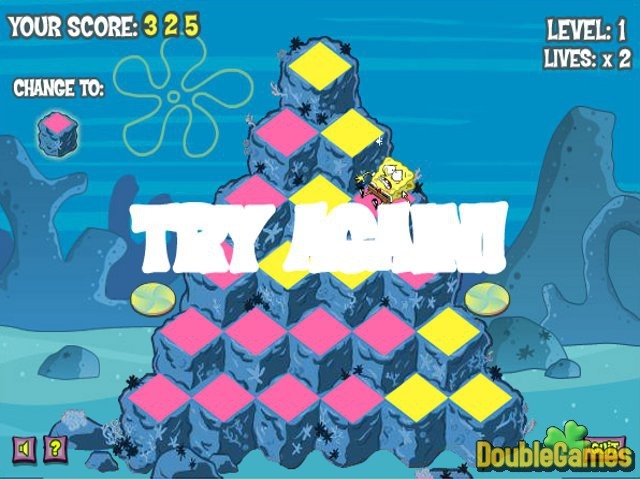 In SpongeBob SquarePants: Pyramid Peril you are to help courageous SpongeBob save the Coral Hills from wilting. You have to color the yellowed reefs into the ever pink ones! Move SpongeBob down the cubes and don't let the malicious sea creatures sting him. To avoid danger, jump on the whirlpools around your reef, and your friend Gary will help freeze the time. Be watchful! Your enemies are everywhere! They are jellyfish, anemones and sea horses. 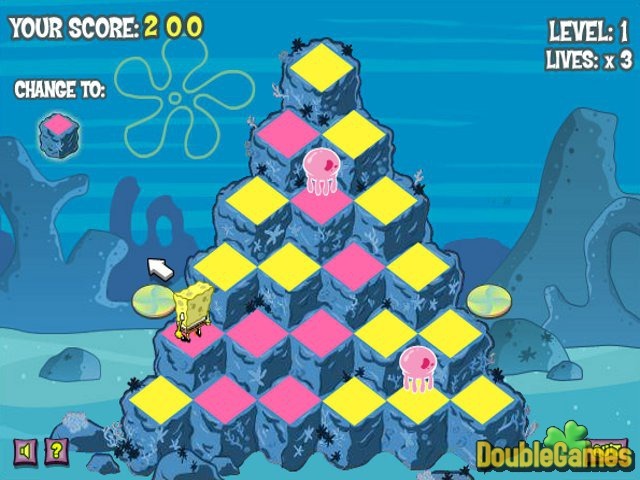 Play SpongeBob SquarePants: Pyramid Peril and help the coral reefs return to life! 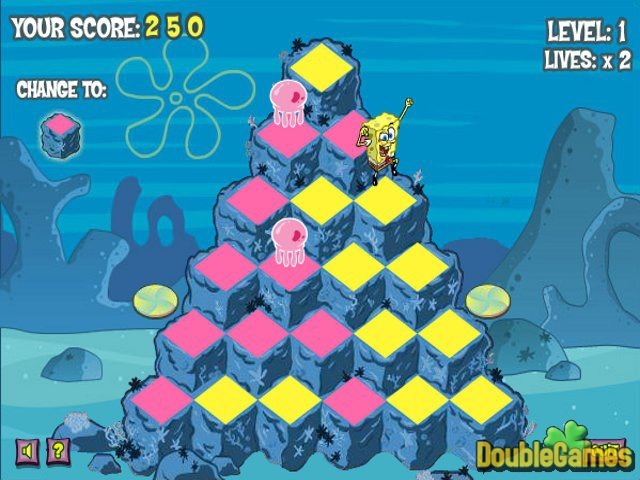 Title - SpongeBob SquarePants: Pyramid Peril Online Game Description - Uncover SpongeBob SquarePants: Pyramid Peril, a Movie Games game published by Nickelodeon. Bring the Coral Hills back to life together with omnipresent SpongeBob SquarePants!